When Santorini was funded I asked Gavan Brown if he felt the success was due to the minis in the game. He did not think that but instead pointed towards the simple ruleset as the biggest draw. I think he might be right about that but following Kickstarter’s it seems like gamers just love miniatures. Making a game with miniatures is not easy. 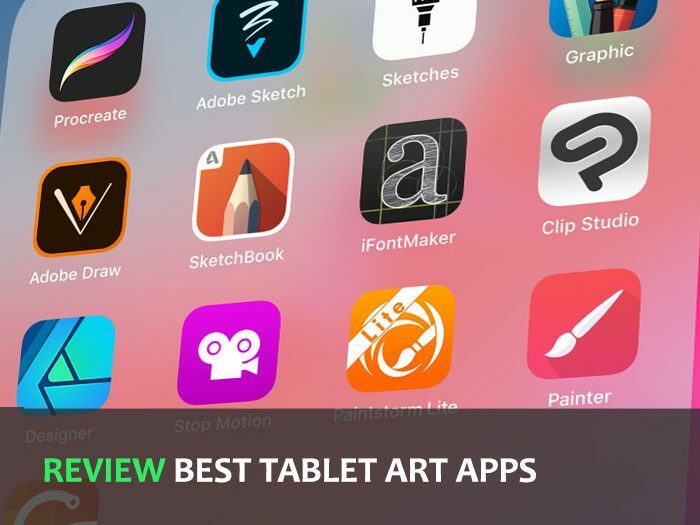 There are soo many steps from your sketch to production. 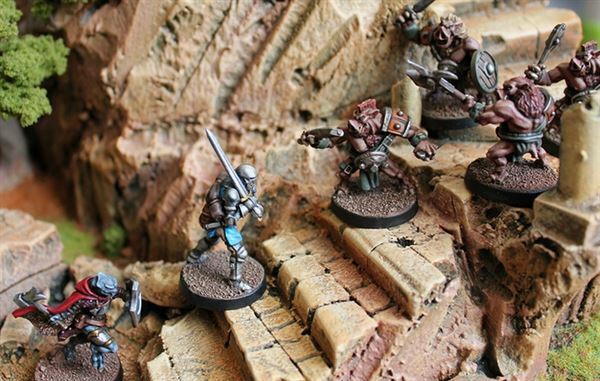 Sean Sutter, a concept & comic artist from California took the leap into making his dream project – a fantasy skirmish game full of miniatures called Relicblade. 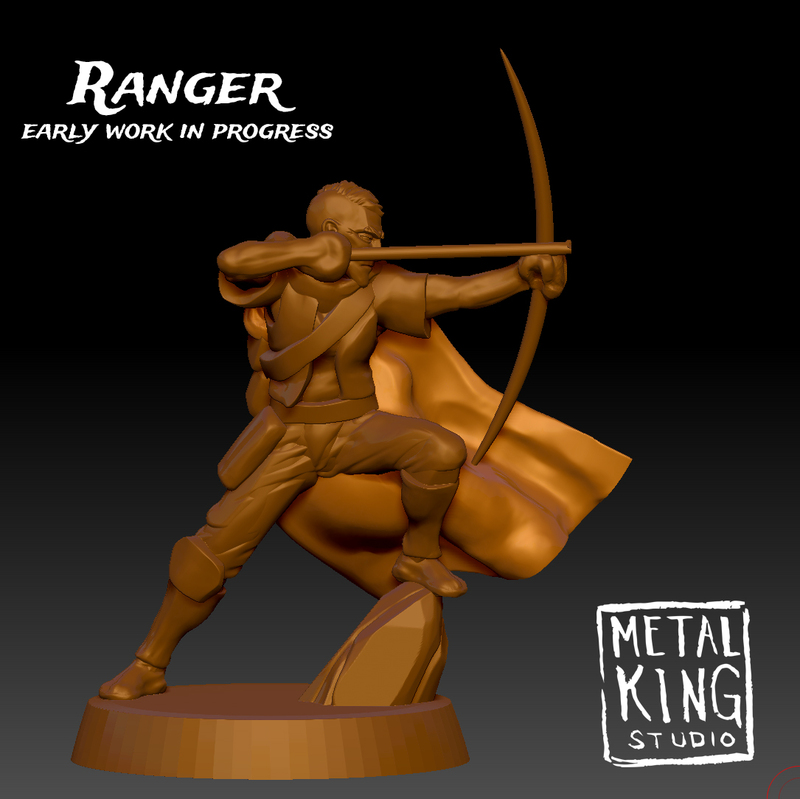 Sean is a fantastic sculptor and also shares his experience with making minis on his youtube channel Metal King Studios. I am thrilled to present you an interview with Sean. Tell us a little about your artistic background and how you got into making your own board game? My artistic background is in the traditional two-dimensional art. I studied drawing vigorously throughout school and graduated with a BFA with an emphasis in painting. I have worked as a graphic designer, fine art painter, and comic book illustrator. At a certain point, I decided that I wanted to work in miniatures. I’ve been obsessed with the hobby for a long time, so working on something I’m passionate about made sense. Making my own game is the natural progression of my restless imagination and reckless self-determination. but guess what! YOU DON’T NEED PERMISSION! YOU NEED TO MAKE SOMETHING GOOD! A lot of young artists are focussed on “breaking into” the industry. Whether the dream is making comics, movies, games, or something else entirely, breaking in is reliant on a gatekeeper to give you permission to make something great. 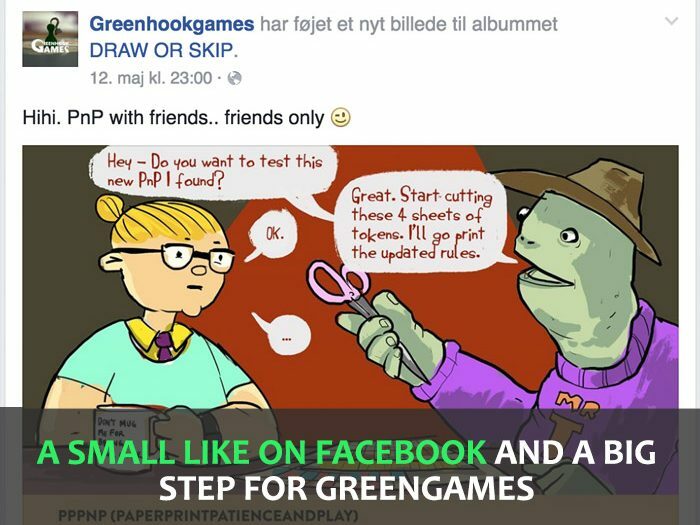 That gatekeeper may be an art director or publisher, but guess what! YOU DON’T NEED PERMISSION! YOU NEED TO MAKE SOMETHING GOOD! If it’s good then it’s worth it, if it’s not good then you need to practice more. And there isn’t any better practice than doing. Lastly, if you start working for yourself you become an art director. Imagine buying your own art so you can turn around and make a profit off of it. That’s what a publisher has to think about. Is it good enough that I can make a profit from it. You have to get hard on your work. You have to decide if it’s good enough that you will pay for it, or if you need to kick it up a notch. When I started looking at my work as an art director I immediately decided to go back to school. 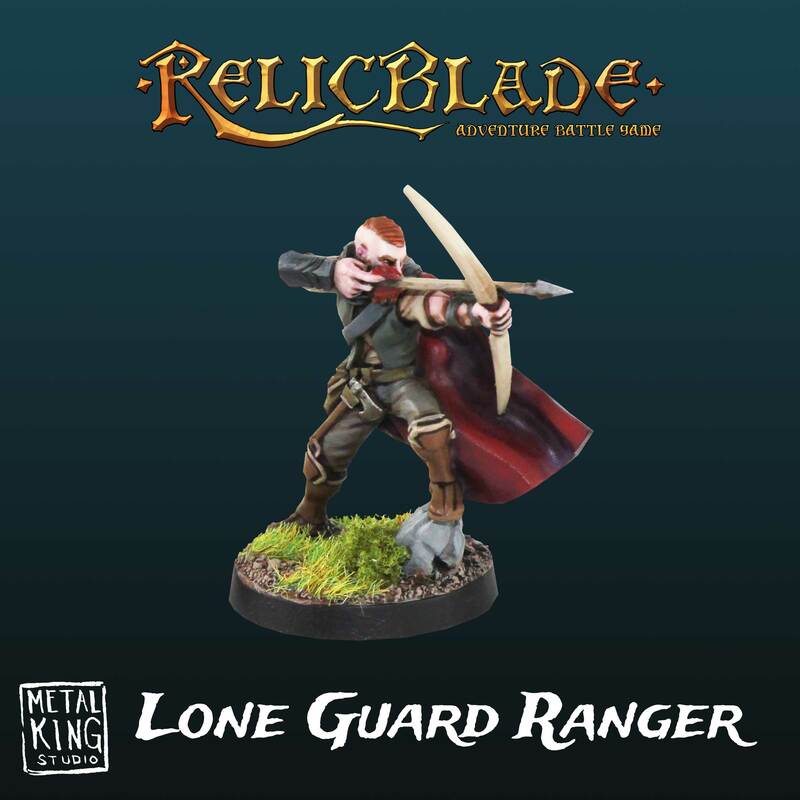 You are the designer, artist, publisher and miniature maker behind the skirmish fantasy game Relicblade. Tell us a little about the game and what role describes you best. 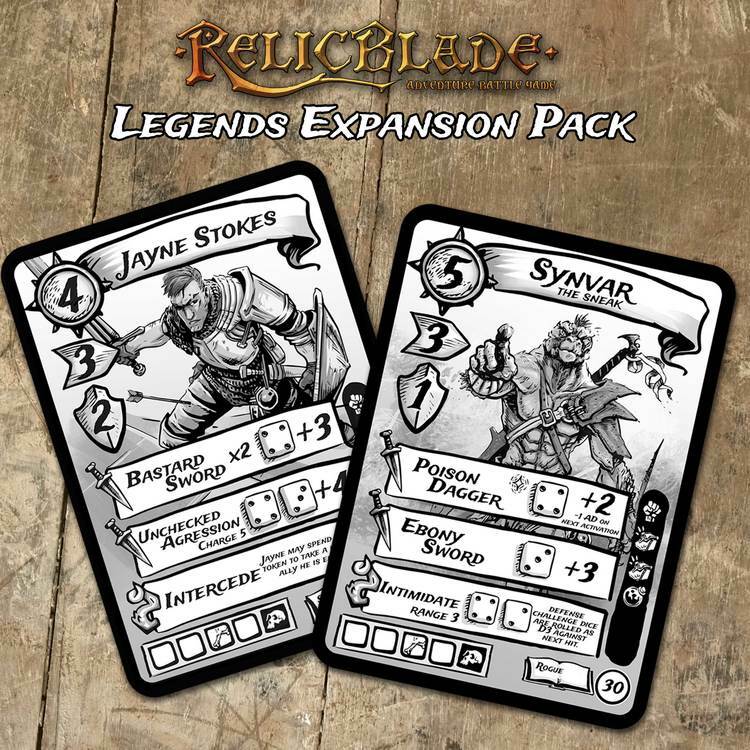 Relicblade is a fantasy skirmish game. Players command heroes or monsters on an epic quest to claim powerful magic relics lost in the ancient world. Games only last about thirty minutes each and you only need between three and six figures per side. Characters are highly customizable with upgrade cards, and in campaign play your team will advance between games. The core game mechanics are easy to learn, but there is a lot of depth to trigger gamer-brains. What best describes my role? Creator, maybe? I usually break it down to Game Designer, Illustrator, and Sculptor. Those are my proudest credits even though I do a lot more. I freelance when I’m not working on Relicblade. Though freelance has become a much smaller part of my routine than I originally envisioned. I mostly do illustration and sculpture for other games. I’ve worked on several unreleased games that I doubt I can really talk much about. I also got to sculpt a few figures for the Dark Souls boardgame, which was pretty fun. On your website and youtube you have a awesome mini series of the process of making miniatures. 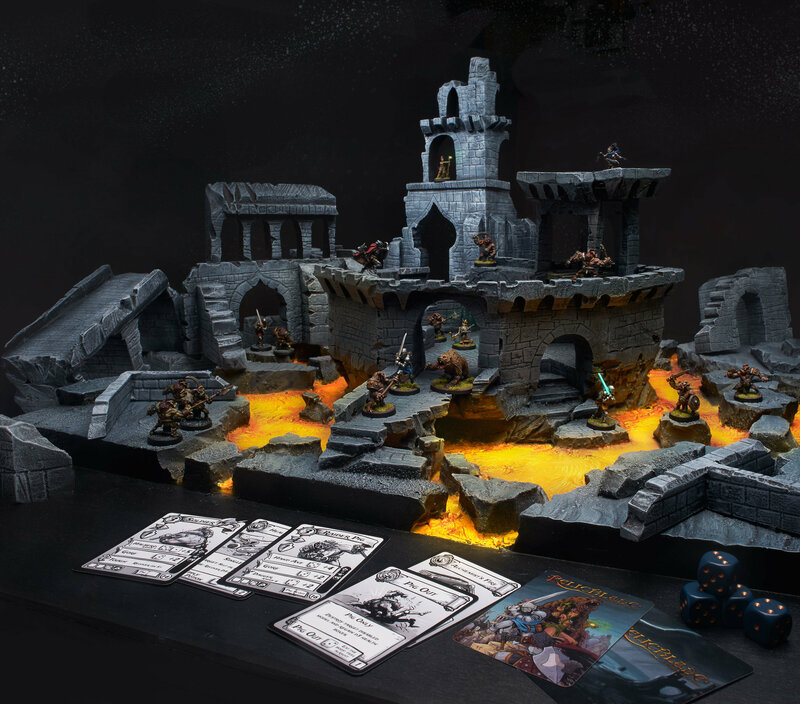 Can you tell us a little about your creative process and the different steps when making a board game miniature? Since I usually make minis for my own game, I get to be really loose and free with my process! I can change a design on the fly, and I can even just get into a funny mood and suddenly make something completely unplanned. I was supposed to be working on something else, but one day I just started sculpting a yak. I knew I wanted a pack animal for a Relicblade scenario, but I think it was going to be a wooly rhino or something. I was just having too much fun. When you’re in the zone with zBrush you can just start generating shapes like free form poetry. All the parts were falling into place and I just got lost in the fun of it all. Now I have a pack yak in my miniature line. It was on a whim, it was sculpted in one day, and it is one of my favorite figures. Most miniatures I produce are more carefully planned. 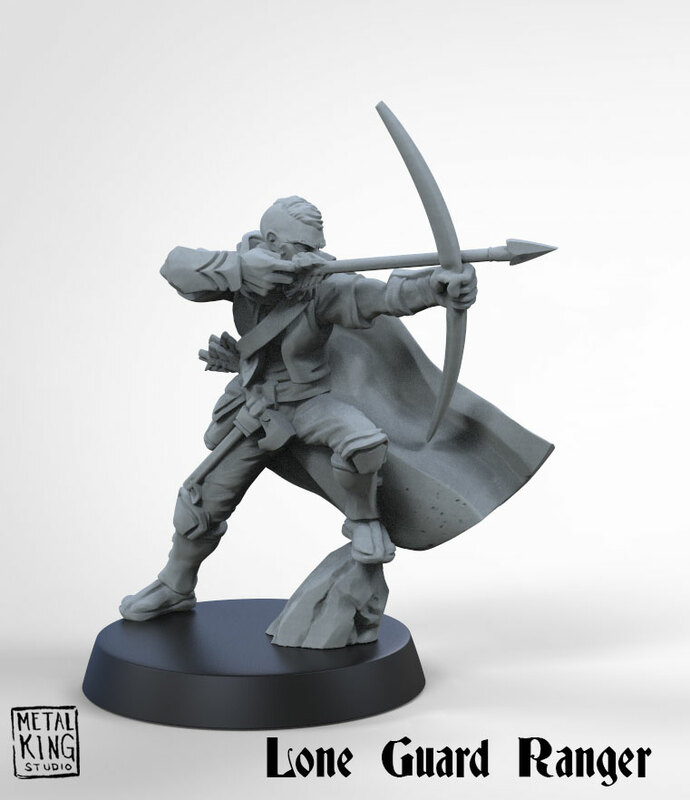 The Thief series on YouTube covers each step from sketch to 3D printing. I try to think a lot about form and paintability through the whole process. How do you know when and where to cut a model for molds? I studied moldmaking in college for a few semesters, so I have a fair idea about what will work and what won’t. I try to err on the side of caution and cut anything that seems precarious. I also want my figures to assemble easily so it’s a balancing act that doesn’t always work out perfectly! You miniatures for Relicblade are cast in metal. Have you tried making plastic miniatures and is there any difference in the design approach? Metal miniatures are the best fit for my business at this point. I don’t sell enough to justify the cost of plastic production. Undercuts need to be an exact science for plastics and the molds are a lot more expensive. The figures are cheaper once the molds are made, but like I said before, I don’t move enough product to justify the mold cost at this point. With metal minis I’m able to produce more variety with faster turn around times. I also get to take more risks like making weird minis that don’t necessarily have as much commercial viability. I like the metal figures. Someday I would like to make a plastic kit. But since Relicblade uses so few figures it isn’t necessary. What advice do you have for designers that want to make their own miniatures? Learn as much as you can from other sculptors. If you get the chance to meet some at conventions ask all the technical questions you can. And is there any typical mistakes to avoid when sculpting? Be careful about how thin you make your figures. It’s easy to make a model that has realistic proportions. It’s much harder to make a miniature that will be a joy to paint. Always focus on that end experience. It’s easy to make a model that has realistic proportions. It’s much harder to make a miniature that will be a joy to paint. What do you find makes a good game miniature? Game minis should have a strong silhouette so they’re recognizable while people are standing up looking at the board. It’s worth repeating that a figure should be fun and easy to paint. 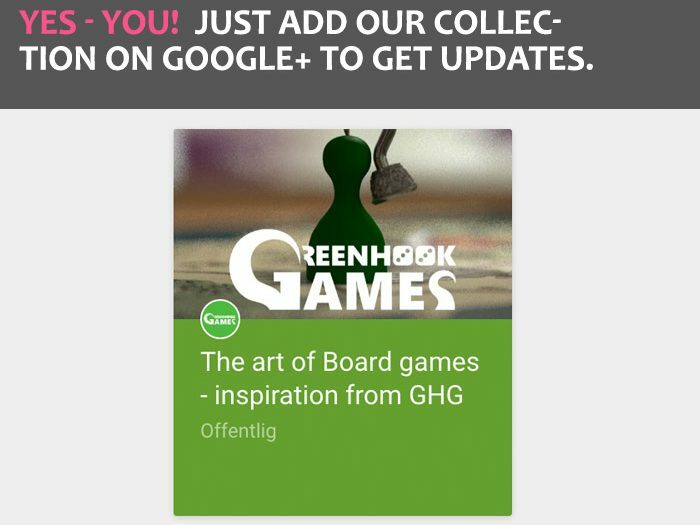 Since this is not only about you miniatures I would like to compliment your cool and bold illustration style for the game cards. What made you choose just that style for the game? I just decided to draw the way that’s most comfortable for me. 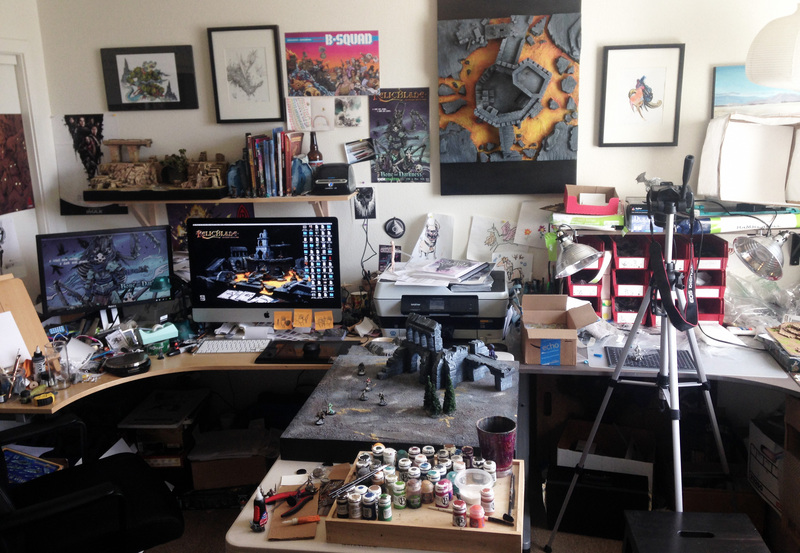 If I were doing illustration for 40k, Warmachine, or Star Wars I would need to fit their aesthetic. I am in the privileged position to draw however I want. I can keep it as rough and gestural as I want. If you look closely at some of the cards you’ll see how loose I keep it. Especially in action shots. What was your biggest challenge on Relicblade? Looking back it’s hard to differentiate which challenges were the hardest at the time. Some barriers took longer than others to cross. Learning to use ZBrush took a solid year and a half. Getting a degree that taught me graphic design, color theory, and so much more took several years. Running a kickstarter, figuring out where to buy bulk bases, finding a reliable mold maker, getting punch-boards printed, book design, web design, product photography, package design, the list goes on and on. It has been a titanic undertaking. There were innumerable barriers blocking my path. I saw those barriers as cold gatekeepers responsible for blocking the unworthy. So I overcame. I sketch and ink traditionally with pencil and brush. I use a Wacom tablet with ZBrush for sculpture. I color in photoshop. Guy Davis. Speaking of loose and free, my goodness Guy Davis is a master. His art is quite stylized but his command of form is impeccable. He is an extremely gifted monster-maker. I just love his monsters. He drew B.P.R.D. for years, but also does concept art from tons of Del Toro’s movies. His design work is prolific and delightful. James Gurney. Dinotopia triggered my imagination as a child, but I revisited his work while in school. He has a legendary blog (http://gurneyjourney.blogspot.com/) that is a treasure. His restless curiosity and drive to share knowledge is above and beyond. His book Color and Light was enormously helpful. You should own it. Gosh, it’s hard to choose one last person. I got to sit down and paint a couple Red Box Games figures last night. Tre Manor is an extremely talented sculptor with amazing command of detail and form. There is a perfect balance of detail and open spaces on his minis which leads to a profoundly entertaining painting experience. I have a lot to learn from his work, and he is fiercely independent which I admire. Thanks – I will look that book up. Is there one game you think is particularly beautiful (you did not make)? I’m really excited about how CMON is growing DarkAge. I got to hang out with Bryan Steele at AdeptiCon and see a lot of the new figures in the display case. Brom’s work on that game is mind shattering, and I desperately want that game to do well. I haven’t really played it, but I want to, so that’s a good sign. I also really love Dystopian Wars. It’s pretty much everything Relicblade is not. It’s massive scale, it’s minutely detailed, and it’s all gigantic vehicles at 1:1200 scale! I highly recommend it. The second Relicblade Kickstarter project is all shipped, so it’s time to work on a few freelance jobs before I jump into wave three. Confidentially, there are at least three miniatures I hope to push out before going back to KS. The characters are burning a hole in my brain and it’s only a matter of time before I am forced to drop what I’m doing to sculpt them. Here are my main things online.